Moving or Leaving the District? To families with students in grade 9-12 who are moving out of the district or relocating. 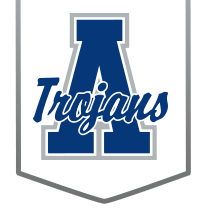 If you are moving out of USD 385 School District or relocating to another district school please contact Shelli Swan, our Registrar, to coordinate an appointment to withdrawal/transfer your student from Andover High School. If you know your new mailing address, as well as your student’s new school contact information, please provide such information at the appointment. Having these documents will help in expediting your student’s transfer to their new school. Please email Shelli at swans@usd385.org or call 316-218-4203 between the hours of 7:30a and 3:00p should you have questions.